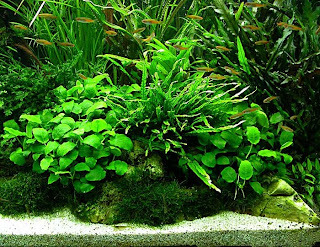 Starting a bit of a new feature with a weekly aquascape chosen by me for it's beauty and inspirational qualities. This week's is a 75 gallon tank designed and created by Luis Navarro. 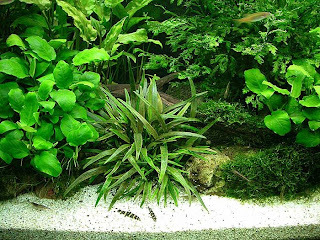 The main design element of the tank is the open sand foreground and the low maintenance plants. There are no stem plants in this tank, but lots of crypts, moss, and anubias. 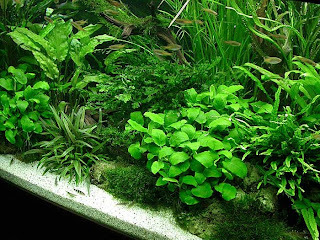 The overall effect is a mesmerizing and truly beautiful aquascape that blends aspects of the Dutch and Nature aquarium styles. For more information on the tank, check out the journal here. Enjoy! That's a very pretty plant. I can't believe there are no stem plants in it. Beautiful,, simply beautiful. I think this will be a popular addition to your blog.